Charles C. Kent was born on March 11, 1923 in Jasper, Texas. He was raised by his Grandfather then later moved to College Station to live with an uncle. 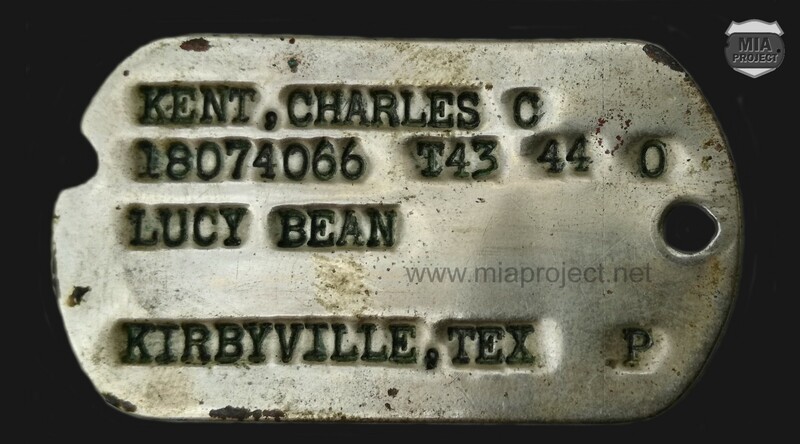 After graduating from hi-school in 1940, he entered Texas A&M University. A&M at the time was all male students. Reserve officer training was required of all physically fit students. After training with the coastal artillery for two years, he volunteered for the Army. The first week of December 1944, the first Battalion left its reserve position and deployed east of Losheimergraben, Belgium. The hamlet, a little custom post on the Belgian-German border, was sitting at a road junction. There were a few buildings for the custom guards and clerks, and 300 yards to the East, three brick houses for their families. All had been evacuated in September and now served US troops. The battalion was deployed in a large arc east to southeast of Losheimergraben. The front to cover was way too large and the companies were spread in the dense forest with very limited fields of fire. Company B had its squads and machine guns spread widely in the forest, covering shallow depressions, little openings or fire breaks. It was not a continuous line of resistance like in other sectors. 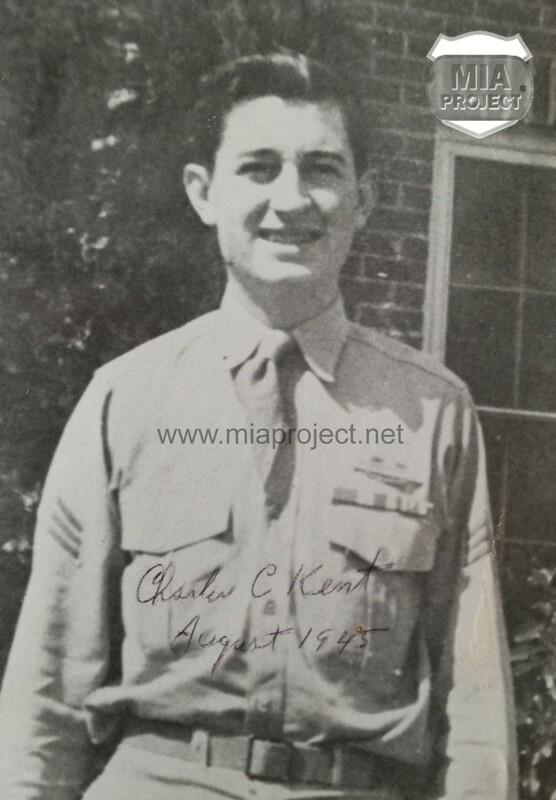 On December 16, 1944, when the German artillery barrage started, Charles Kent was in a foxhole with S/Sgt Bill Sears. Sears was squad leader and Kent was his assistant. Volkgrenadier Regiment 48 by-passed most of the US resistance inside the forest to focus on their main objective, the capture of Losheimergraben crossroad. 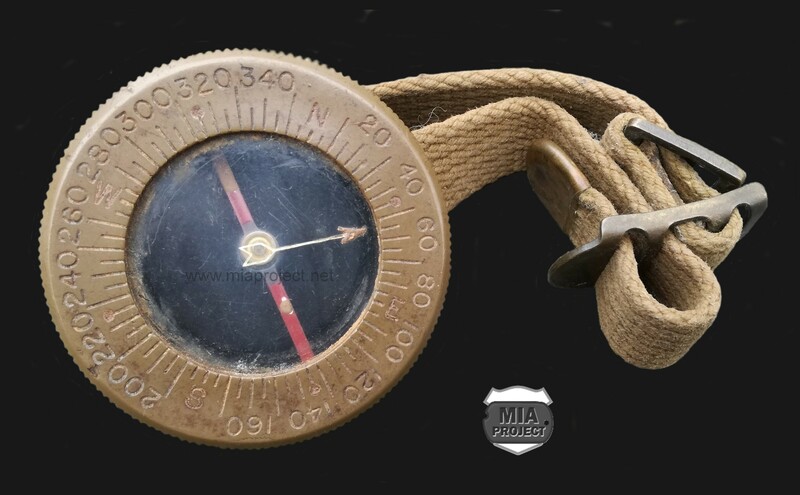 Wrist compass found by Sgt Kent in his company CP and used to reach Elsenborn cross country on December 17, 1944. Camillus guard marqued M3 trench knife Charly found in B Company CP log cabin. 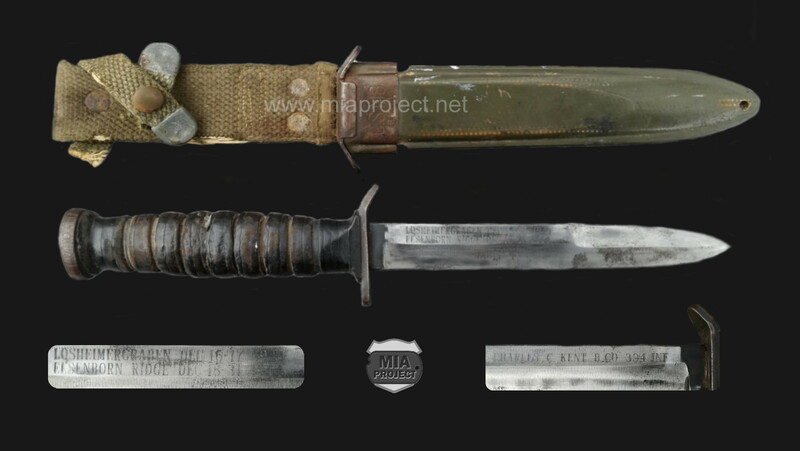 He later customized the blade with » Losheimergraben Dec 16-17, 1944 – Elsenborn Ridge 18-31 Dec 18-31, 1944″ on one side and his name on the other. The next day, the Germans resumed their attack on Losheimergraben with renewed vigor and eventually captured it in the late afternoon. 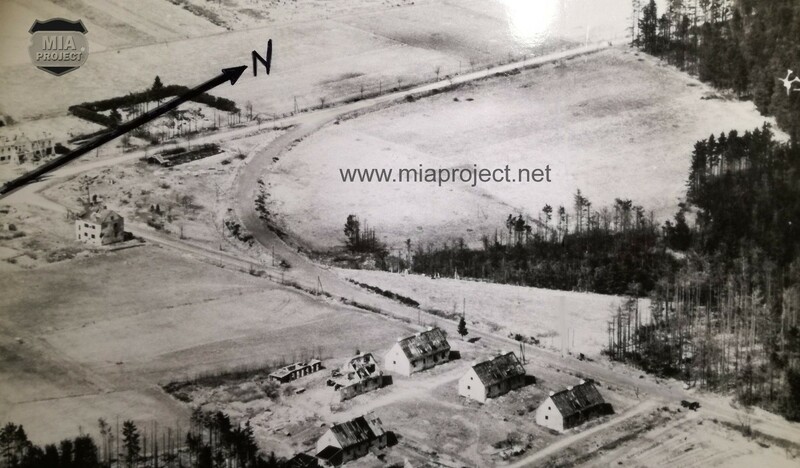 LtCol Douglas received orders to abandon the crossroad and to pull back to Elsenborn via Mürringen and Wirtzfeld. The withdrawal, cross country on such a long distance, in complete darkness and by-passing German troops was extremely perilous. In Mürringen, some of the men chanced to board retreating vehicles. The 21 men of company B who successfully pulled back from Losheimergraben called themselves « the lucky 21 ». « … I remembered the Germans yelling and hollering when they overran us on the 16th December. It kinda give you a chill. That day on the Elsenborn Ridge, I gave it back to them. Abner Hahn, who was about two holes down said he could hear me and was about to holler « Remember the Alamo ». My actions during the firefight may have influenced Lt Shannon in telling me later that day that he was going to turn me for a battlefield commission. I replied that I didn’t know if I could handle it but that I’ll do my best. He said « I know you will ». I believe he had partly made his decision when he had me form the two squads in Elsenborn rather than having one of the higher ranking Sgt’s do that. Then later by putting the phone connection from his hole to ours. He had me carry out the tasks he wanted done – inventory weapons, ammo, clothing needs, dogtags, string barbed wire, place mines and trip flares. In fact, I did not receive my battlefield commission. 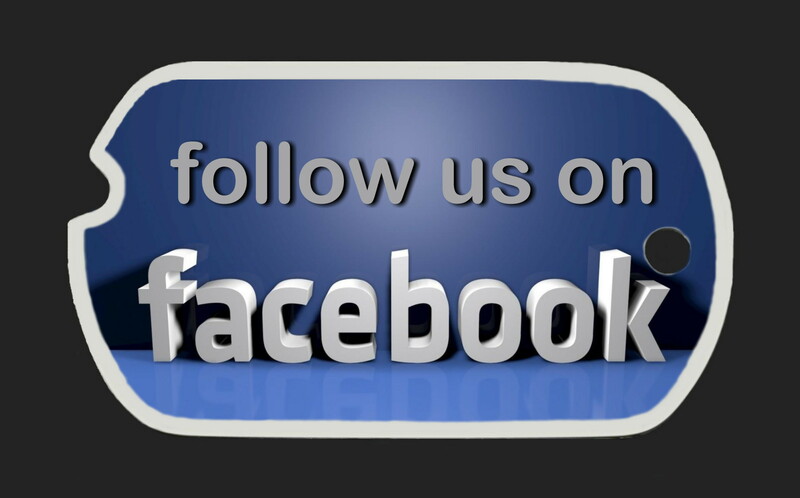 Being knocked out of action permanently stopped any further action toward that. I have always had a lot of satisfaction knowing Lt Shannon believed in me and wanted me as his second in command. 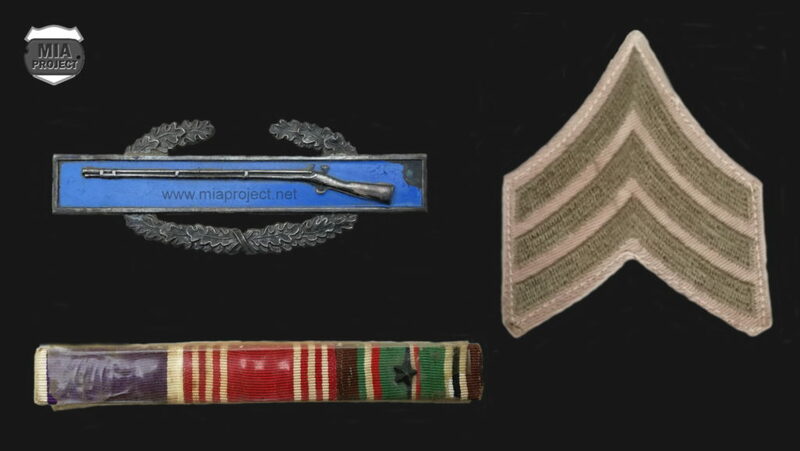 Charles Kent’s CIB, plastified ribbons bar and Sgt stripes, the same ones visible on the 1945 portrait photo. February 02, 1946. He reentered Texas A&M University the following week and completed the requirements for a bachelor of Sciences Degree in August 1947. He got married in 1951, raised a family and worked in the paper mill business, ran a flower business and raised pecan orchards. He was a member of the 99th Division association.